L'Eau d'Issey Eau d'Ete and L'Eau d'Issey Pour Homme Eau d'Ete 2011 fragrances interpret the exotic aquatic paradise and bring you the atmosphere of those crystal marine lagoons where turquoise water is deep and filled with tropical corals. 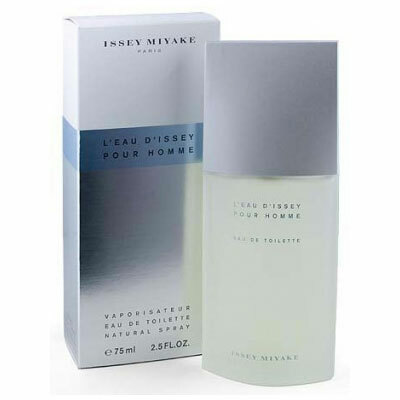 L'Eau d'Issey Pour Homme Eau d'Ete is a vitalizing, energetic and joyful harmony of citruses, aromatic nuances and woody - amber base. Refreshing notes of yuzu and mandarin give way to the heart of cardamom and sage, settled at the base of amber and vetiver. The bottle and the box are colored in aquatic blue and decorated with motifs of corals. It is available as 125 ml Eau de Toilette Spray.